As a customer, you receive an email or an SMS notification stating that the groceries are about to get over, and asking if you would want to order them. How the supermarket or the mall came to know about it? Well, they do not mind readers at least; instead, it is the predictive analytics which is being leveraged to process huge datasets. The retail industry is known for being the front runners for utilizing and identifying data. They initiated the use of prescriptive analytics and now have entered the arena of predictive analytics. Facebook leveraged predictive analytics techniques to become one of the largest data collecting companies identifying trends, and recommending it to the user as per their interest. And as a matter of fact, they have more than 2 billion active users to date. Indeed you don’t need to be as massive as Facebook, but you definitely need to use predictive analytics model to experience the positives of considering it as a necessity, and not an alternative. Businesses have to manage a humongous amount of data and an unpredictable amount of information which can help them anticipate challenges and opportunities for their businesses. Data and analytics can be game changers here as they hold the ability to forecast sales, determining production needs and service demands to more efficiently run their operations. After acquiring Goodreads, to predict user’s area of interest, Amazon integrated it with a social networking service of around 25 million users with a special Kindle feature. The function states Kindle readers can highlight words and notes, and share them with others as a means of discussing the book. Amazon regularly reviewed words highlighted in different Kindle accounts to determine what are they interested in reading. The company then used to send additional e-book recommendations. This is how Amazon used predictive algorithm by accessing customer data to stay ahead in the competitive market. This certainly reduced their cost of marketing, improved quality and satisfied their consumers. Businesses are often topsy-turvy due to customer demands, fluctuating markets and ever-evolving data technologies, leading to hasty and so messy decisions. 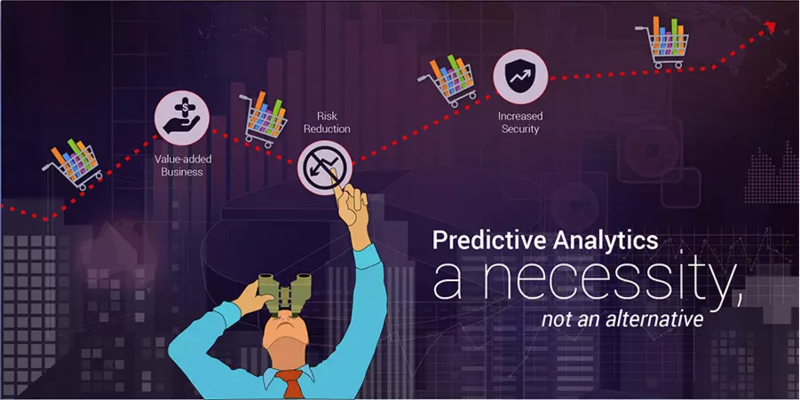 However, predictive analytics helps in reducing risks involved in every process of your business operations. For instance, there was a time when Netflix wanted to create their brand image by producing some fabulous fresh content but weren’t sure if they will be able to do it successfully or not. If they fail, there was this potential risk of negatively impacting their company’s reputation and baseline too. According to data predictions, there were some common views among David Fincher’s “The Social Network” and the original British version of House of Cards. This high demand was a convincing sign of investment. Thus reportedly they invested around $100 million into the show as an American version of House of cards. This was a high-risk decision with disastrous impact if it fell flat, but predictive analysis of accurate data made them a thriving name across the entertainment industry. The effect was an increase in Netflix subscriber base by 10% and Netflix confidence in predictive analytics rose to 100%. This was an amazing example of how predictive analytics helps in identifying future trends and reducing risk related to any forthcoming business investments. Last year the USA faced cyber-attacks and incurred an approximate loss of $1.3 Billion. Preventive measures are for sure a one-shot solution to data threats. Using Predictive analytics to identify potential data threats and find ways to mitigate it is what the USA is looking forward to. Predictive data also lets you understand areas prone to cyber-attacks and how prepared are your systems to withstand it. With artificial intelligence and machine learning taking over the game it’s difficult to decide who will be the decision maker for future: ‘machines’ or Human. 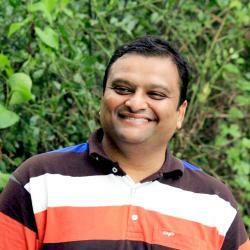 It’s safe to use predictive analytics as it is are going to play a crucial part in shaping future. With changing customer demands, fluctuating market and evolving technology creating heaps of data, predictive analytics will be a saving grace. You now are able to anticipate opportunities, challenges and see your organization growing just by considering predictive analytics as a necessity. Chirag Shivalker is the content head at Hi-Tech BPO and has helped enterprise level clients globally in managing their data and providing analytics; ultimately empowering them to make insightful business decisions, take bold action, and execute quickly. He regularly writes about the importance of data management for data analytics and the changing landscape of the business process management industry.